No, you don't. You can find your nearest 2CVGB Local Group here. We're a friendly bunch, so come along and say hello one club night. It's an easy way into the UK 2CVing scene, especially if you're thinking of coming along to an event - it's always nice to have some friends to go with that can introduce you to more people. No, you don't! 2CVGB welcomes owners of all the A Series vehicles - 2CVs, Amis, Dyanes, Méharis, Bijous, the vans - as well as H Vans and modified/converted cars based on the A Series chassis or running gear. You don't have to own a vehicle - just having an interest in them is enough. Questions about A Series vehicles - buying guides, maintenance needs, price guide etc. The A-series Citroëns are the 2CV and it's siblings. These include the Dyane, Méhari, Ami, Bijou and the various Vans. 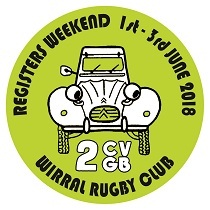 You can find out more by checking out 2CVGB Vehicle Registers. 2CVGB also has an H Van Register. These are not A series Citroëns, but are considered a very close friend! In brief, rust should be the major consideration. Most chassis have been replaced by galvanised items now, especially on eighties 2CVs, so if that's the case, focus your attention on the floors, sills, rear seatbelt mountings and bonnet hinge. They do rot pretty much anywhere, so have a good look around. Mechanically, the 2CV is very robust, but watch out for failing synchromesh on third, and blue smoke or knocks from the engine. The brakes should be superb, though you'll need more pedal pressure than in a modern car. 2CV prices have risen in recent years, and you may need more than £4,000 for the very best, even more for one that's fresh from a rebuild. However, you should still be able to bag a relatively sound one for £1,000-£2,000 and projects can be very cheap. Dyanes tend to command a bit less - the best rarely exceed £2,000 - yet they offer a bit more refinement at speed and a full hatchback (complete with folding rear seat on most later ones). Amis similarly tend to fetch less than 2CVs, though the earlier Ami 6 can command a bit more in very good condition. Méharis have always been popular, and the prices are much closer to the 2CV. You could easily pay £4,000 for a really good one. The various vans are not far behind either. More than a modern car, but very little that you won't be able to do yourself. The recommended service schedule is a minor service every 3,000 miles and a major one every 6000. There are grease points that should be attended to at least every 1000 miles, so you'll need a grease gun. Absolutely! Though they can be a little noisy. Most 2CVs have a speedometer that goes up to 70mph (although the needle goes a bit further! ), and there's no reason why you can't stick at that speed all day - wind/hills permitting! It is important that the oil cooler is kept clean however, or the engine may not enjoy being thrashed. Yes! For a non-British car, the parts support in the UK is very impressive. You can get pretty much everything you'll need, from brake pads to almost all body sections. 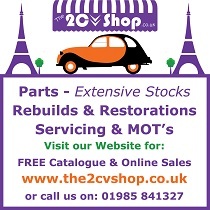 2CVGB has a Spare Parts Organisation Group (SPOG) which aims to plug the gaps when parts are no longer available. 2CVGB members get a discount on SPOG purchases - another benefit of the club! Our Forum has a technical section, where we help out fellow members. The above is only a very brief insight into the information we hold. When it comes to 2CVs, we're the club you need to join! Oh yes! And many of our members take part. There's actually a full race series, organised by the Classic 2CV Racing Club. Despite promises by the government to address the rising cost of car ownership – and a 1p per litre fuel duty cut – it seems there's no end in sight for those struggling to afford their vehicle. Fuel has hit a record high and car insurance is rising by 44p per day on average; a nasty surprise for those looking to renew their insurance towards the end of the year. If you're happy with the service you've been receiving from your insurer then you might think there's no reason to change when renewal time comes round. Taking this approach however could cost you dearly, as each and every year Brit's needlessly waste billions by sticking with the same insurer when they could have found a cheaper deal elsewhere. 2CV's originally ran on leaded fuel, but the switch to unleaded fuel has proved to be an expensive one, with the average price per litre floating at around the £1.33 mark. There are some savings to be had however; prices can vary greatly in your local area – by as much as 5-6p per litre - so it's worth shopping around to make sure you get the best value for money. Making use of a petrol prices website such as petrolprices.com will keep you up to date as to which petrol station is the cheapest option. You probably drive your pride and joy very carefully, but you could most probably still make some savings when it comes to fuel efficiency. The good news is that, due to the small size of the engine, fuel consumption might average out at about 40-50mpg (and no need to worry about speeding fines on the motorway either). To get even more out of a tank of fuel, avoid harsh acceleration, sudden braking and deceleration. Aim to read the road ahead so you can adapt your driving style, instead of having to make sudden changes which will cost you when it comes to fuel consumption. It's easy to go for the first reasonably priced insurance policy you come across when you are looking to renew – finding car insurance is something everyone seems to dislike – but you could be missing out on big savings. To make sure you get the most cost-effective solution (a cheaply priced policy with the cover level you require), you should compare a number of insurers and aim to shortlist this to 3 or 4 policies which make the grade. Make use of a comparison website such as money supermarket.com to speed the process up for you and give you access to more insurers with one quote. Don't forget to also run quotes with insurers who don't appear on comparison sites, this will make sure you get an accurate cross-section of the market. When it comes to car insurance, one easy way to reduce your premium is to improve the security measures for your vehicle. 2CV's were introduced before the days of immobilisers and car alarms but an alarm is easily added. If you opt for a Thatcham approved system and notify your insurer, you should receive a discount on your premium. It's likely that you make use of your garage to store your car in if you have one, but do you state this to your insurer? This will also usually get you a small discount. Any insurance policy is a matter of risk calculation, so it stands to reason that anything you can do to decrease your risk to your insurer will help to bring your premium price down. 2 areas that seem to particularly affect your risk levels are; the annual estimated mileage you enter and your profession. Be careful to keep your estimated mileage to as accurate a guess as possible, overestimating will increase your premium (falsely under-estimating could void your policy so avoid this) – making use of your previous years MOT document will give you an idea of your annual mileage. People in certain professions will pay more for their insurance (like taxi drivers and sales reps) whereas some professions seem to be linked to safer drivers. Whilst I'm not advising you to lie about your profession, you might find that tweaking your job description a little (whilst keeping it in the realms of reality) will help to reduce your premium. Need to hire a 2CV for a wedding/special occasion/film shoot? 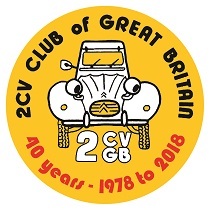 If you're a 2CVGB member, why not post a plea on our web forum to see if one of our friendly members can help you?